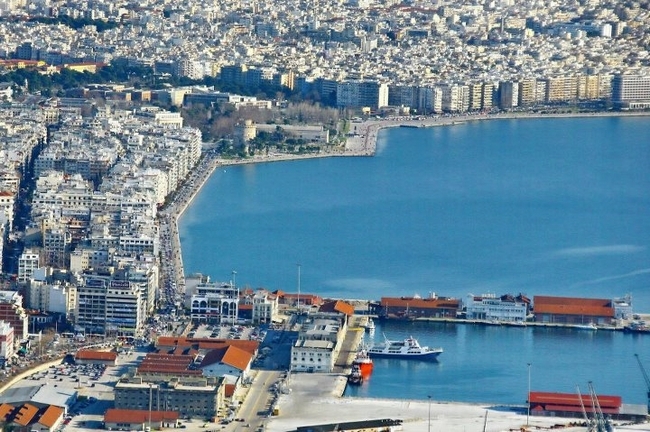 Connecting the city of Izmir in Turkey with Thessaloniki in Greece, topped the agenda of talks last week between a visiting Turkish delegation and the Thessaloniki Port Authority (TPA). The talks come ahead of a visit to the neighboring country by Greek Prime Minister Alexis Tsipras for a joint ministerial Greece-Turkey Council on March 8. Izmir Mayor Aziz Kocaoglu and the city’s Chamber president Ekrem Demirtas met with the Managing Director of TPA, Dimitris Makris, to discuss ways to make the ferry connection possible. Maritime Trade Chamber İzmir Branch Board Chairman Yusuf Öztürk said the sea route is economically viable and can potentially handle up to 40,000 passengers a year from Turkey to Thessaloniki and the EU.